​Battling pollution in Rio: It’s a long term project, and it starts with the youth. The rivers and certain bays like the Guanabara bay have been polluted with garbage due to unregulated waste disposal. A man named Andre Alcantara Martins is a coordinator for a nonprofit organization called the projeto Grael. They teach kids as young as nine years old how to swim and sail boats while teaching them the importance of keeping their water clean. Since 1998 12,000 kids have attended the program and this semester 400 more kids will also attend the program. They use eco-boats that use floats with GPS tracking to scoop trash out of the water and put it in a container in a boat. This is important to me because trash not only pollutes rivers but it damages wild life as well. We really need to start learning the dangers of throwing our trash away in rivers and in the ocean. I believe that this program can make a difference in Rio and hopefully we may see less garbage in the water in the upcoming future. Andra Alcantara Martins, left, and Thiago da Silva Marques of Projeto Grael. Two hurricanes are headded for Hawaii in a few days. Madeline is headed for Honolulu one of the largest citiys in Hawaii. Hurricane Lester is headed in a crash cousre twoards Madeline and will create an interaction between both hurricanes. The interaction is known as the fujiwhara effect.meterorologist beleive that hurricane Madeline will push Lester out twoards the north away from the islands. Hurricane Madeline will brush the southern coasts of Hawaii so the native should expect heavy rain in the next couple of days. This is important to me because natural disatsers should be taken seriously and treated with caution. We may learn a thing or two about how the earth works if we can study these events and with new technology and knowledge we may be able to protect our selves better but also understand why earth works in strange ways. A 5.6 magnitude earthquake felt from Nebraska to Texas north-Central Oklahoma. The quake was centered about 9 miles northwest of Pawnee, Oklahoma. 70 miles away Oklahoma city felt a 3.2 temblor. Most structures suffered very little damage and only one homeowner suffered from any injury. people in many states such as Kansas, Missouri, Chicago, Arizona, Arkansas, Memphis, Tennessee, and Southwest Texas all reported feeling the earthquake. Mostly older buildings have been closed due to inspection for safety reasons. The quakes and temblors have been linked to underground disposal of wastewater from oil and natural gas production. This is important to me because people need to realize that all of our action affect the environment and we always need to measure the consequences of our actions. As a result of ignoring the consequences for dumping wastewater underground, quakes are starting to be felt across many states. One way we could prevent this is to protect our soil and take more care of it while dumping our waste somewhere else or recycle it somehow. We cannot allow the consequences of simple waste dumping to harm citizens across the nation and damage our soil. Daldykan river in Russia which flows through the industrial city of Norilsk above the artic circle changed from its blue-green color to bright red over the last couple of days. No official scientific report but theories have emerged. There is a lot of pollution near the river because of the many factories located near the river. enviormental ministry claims leaks in waste pipes from a mining and smelting company called Norilsk Nikel although Mr. Norilsk denied any leaks in his factories. Locals on the other hand aren't surprised by the change in color. They have seen the river turn red and one local claims that workers at a nearby factory call a reservoir that is connected to it the red sea because it turns red from their factories ore runoff. People really need to figure out a way to secure and dispose the waste we produce. Our environment has already been weakened enough due to pollution and past waste dumping so I believe humanity needs to recycle more waste or dump it somewhere that wont harm the environment. Even though the change in color doesn't harm any fish or other wild life we still need to be cautious of where we dump our waste or one day the consequences will return to haunt us. The sun is cooling down and therefore is not the cause of global warming. Actually the sun has kept the same temperatures, it is the ozone that has greatly weakened and the atmosphere is being full of carbon and other green house gases. when the atmosphere becomes full with green house gases it becomes harder for the suns rays and heat waves to escape earth. the sun isn't cooling down but the atmosphere is getting worse and its not allowing the heat rays to escape into space. Animals and plants can adapt to global climate change. Actually in the short time that humanity has had an effect in the global climate many animals and plants have become extinct or are in the endangered zone. for animals and plants to adapt they need many years or even a couple of generations in order to adapt to a new situation. humans are constantly increasing the rapid change in climate so plants and animals have less time to adapt so many are becoming extinct or endangered. in the twenty and twenty first century alone we have lost more plants and animals than the rest of history combined. on Thursday U.S. Interior Secretary Sally Jewell announced that three quarters of the 276 national parks are experiencing an earlier spring and half of them are experiencing an extreme early spring. what this means is that most of the national parks are experiencing earlier spring time by weeks. many scientist believe that this is due to climate change. This will greatly affect the ecosystem because there will be a mismatch between plants and pollinators and many plants may not get pollinated. Earlier springs also invite invasive species which give parks a struggle to remove. This is important because as we continue to pollute and change our climate we also affect the things humanity tries to protect such as our national parks.If we continue in the course that we are headed then protecting our parks from pollution won't be enough to preserve them. Instead we need to be careful how we change our climate and create better, cleaner, and more efficient energies to stop climate change and global warming. The federal government has announced that there is a new plan to reduce the red wolf's territory to a specific reservation where the population can grow. If wolves go astray according to the plan, the wolves will be sent to zoo's to create a separate breeding group which when the population of the zoo wolves become high enough will be reintroduced into the wild. Their goal is to create a sustainable population of about 200 red wolves for the time being. Other wildlife groups on the other hand disagree with the federal plan and believe this plan is not strong enough and it wont protect the red wolves as much to keep a sustainable population. they believe to give the wolves more territory or increase breeding diversity between the wolves. I thin k this is important because our actions have caused many extinctions and we basically need to prevent or slow down the extinction rate so that many ecosystems could sustain themselves without the loss of an animal. Humanity needs to learn that we share this planet we call home with all the living organisms that also inhabit this earth and it is our responsibility due our intelligence to protect the environment and native species. On average, 40 volcanoes on land erupt into the atmosphere each month, while scores of others on the seafloor erupt into the ocean. A new time-lapse animation uniting volcanoes, earthquakes, and gaseous emissions reveals unforgettably the large, rigid plates that make the outermost shell of Earth and suggests the immense heat and energy beneath them seeking to escape. New stations will be placed all over the world in order to constantly observe high gas emissions underground through many expeditions. By 2019 scientist's goal is to triple their volcano observatories though most machines have been destroyed while recording to volcanic eruptions. Replacing them is also a difficult, dangerous, and requires people to go to hard to reach places. This is important to me because volcanoes have a great potential to effect our environment and especially our ecosystem. As stated in the article "In 2010, Eyafjallajökull erupted in Iceland, spewing massive ash clouds, disrupting air travel for millions of people and costing the airline industry nearly USD 2 billion. Better anticipation of eruptions could lower the human and economic toll of these natural phenomena." This shows how volcanoes have a great potential to really damage our homes. With better prediction and more stations to warn people of the upcoming eruption perhaps in the future we won't have to suffer as many casualties and structural damage that we do now today. Its impossible to stop an eruption but it can be avoided at a certain extent with these new technologies we can accomplish this feat. .Over pumping of groundwater to supply one of the planet's largest cities could be jeopardizing the future water supply for citizens living outside the city center, say researchers working in Dhaka, Bangladesh. With a population of over 15 million people, Dhaka is considered a mega-city and shares many of the water management problems common to other major cities. While efforts are made to sustain water quantity and quality in city water supplies, Dhaka pumping has caused groundwater levels to drop more than 200 feet over the last 50 years and these levels continue to decline at a rate of up to 9 feet per year. This is particularly problematic in Bangladesh, where naturally occurring arsenic in shallow (less than 200 feet) groundwater threatens the health of tens of millions of people. High levels of arsenic exist in areas surrounding Dhaka, and there people use deep (greater than 500 feet) groundwater, which is low in arsenic. This is important to me because ground water is important to many people where it may not rain as much or they simply don't have close water resources. If people from cities over use their water and take water from the country side then it becomes a losing situation for every one because city folk don't get their water and farmers or ranchers can't produce and raise their food to give to the city so people can eat. Humanity not only needs to learn how to share resources equally but to also know how to conserve and use less of a certain resource to have a healthier earth. Using the award-winning PhyloChip, a credit card-sized device that can detect the presence of more than 60,000 species of bacteria and archaea, the new method was found to be more sensitive than conventional methods at assessing health risks.The research was led by Eric Dubinsky and Gary Andersen, microbial ecologists at Berkeley Lab, and was published recently in the journal Water Research in an article titled, "Microbial source tracking in impaired watersheds using PhyloChip and machine-learning classification. "The PhyloChip has been used for a number of medical, agricultural, and environmental purposes, including understanding air pollution, the ecology of coral reefs, and environmental conditions of the Gulf of Mexico after the BP oil spill. With 1 million probes, it identifies microbes based on variations of a specific gene, with no culturing needed. This is important because we need to focus on improving our technology along with updating specific methods to identify problems and solve them. With new technology we could prevent widespread diseases, improve the environment and improve the living conditions for almost everyone. soil could become a significant source of carbon dioxide. If people continue using and changing the land over the next century in the same way they currently do, soils will have limited potential to counter the effect of climate change and will become a net source of atmospheric carbon dioxide, experts have warned. If, as predicted, if soils lose a significant amount of their carbon this will endanger their ability to produce food and store water and this could lead to increased soil erosion and flood damage. If this trend continues in one hundred years a quarter of carbon in the soil of France could be released into the atmosphere along with the carbon from other countries. This could increase global warming and the green house effect at an alarming rate and could turn the hearth even hotter due to weakening the ozone and allowing the sun's rays to penetrate the Erath. This is very important for everyone living on earth because if more carbon is released into the atmosphere then climates all over the world will start to change creating disasters all over the world. Some people won't be able to adapt, others will run out of food due to soil erosion and be forced to move out and many will suffer the consequences of our actions that we could have prevented today. We as a society need to stop digging the earth the way we do now and nurture and replenish the nutrients in the soil so that it may be rich and healthy for years to come. All these problem can be prevented but only if we act now before its too late. Global carbon emissions from burning fossil fuels did not grow in 2015 and are projected to rise only slightly in 2016, marking three years of almost no growth, according to researchers. The projected rise of only 0.2% for 2016 marks a clear break from the rapid emissions growth of 2.3% per year in the decade to 2013, with just 0.7 per cent growth seen in 2014. China's decrease in use of coal has greatly aided the decrease in global carbon emissions. The United States of America (the second largest coal emitter) has also reduced their emissions as well from a 15 % to a reduction of 2.6% last year and a projected 1.7% this year. Europe ( third largest emissions) have also started to decrease though not as much. Growing countries across the world are starting to contribute to carbon emissions due to their economic growth and need for fuel. This issue is very important and affects everyone because carbon affects our atmosphere and that affects the weather and the weather affects the environment which then affects us. As larger countries continue to decrease carbon emissions then our world will become cleaner and less polluted. Earth won't be as hot as it is now and temperatures will stop increasing creating a situation where global warming may be paused and even be fixed. This goal of a cleaner and cooler earth is only attainable if global powers along with smaller nations create and enforce environmental agreements to protect the environments of all kinds and protect our atmosphere. Only then may humanity see a better feature and as shown, today we are making progress although it is small it is still one step forward in the right direction. The ability to self-repair damaged tissue is one of the key features that define living organisms. Plants in particular are regeneration champions, a quality that has been used for centuries in horticultural techniques such as grafting. Scientists have now discovered a key protein complex that controls plant tissue repair. Understanding this mechanism is of great agricultural importance: crops and edible plants might be cultivated more efficiently and made more resistant to parasitic plants. With this breakthrough people can strengthen the regeneration system of rice, wheat, corn, bananas, and onions which have less rapid regeneration than other plants and crops. If we can perfect the protein complex to work on many different kids of crops and plants then we can be more efficient in our cultivation and produce more food for everyone. This is important because as human populations continue to increase we will obviously need to produce more food at a more efficient rate and cost. Hunger is an issue in every country no matter how wealthy or poor it is. There are people who barely have anything to eat or to feed their children or perhaps worst case of all they don't even eat for days. This hunger issue can be resolved by this method of cultivation and if we start sharing this knowledge with other countries then we can decrease hunger through the world and feed a growing population. food is a necessity that all mankind share and this is one greater way to feed the upcoming generation of people who will inhabit the earth. 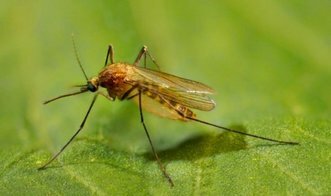 Mosquito populations have increased as much as ten-fold over the past five decades in New York, New Jersey, and California, according to long-term datasets from mosquito monitoring programs. The number of mosquito species in these areas increased two- to four-fold in the same period.The potential effects of climate change on the spread of insect-borne diseases is a major public health concern, but this study found little evidence that mosquito populations in these areas were responding to changes in temperature or precipitation.corresponding author Marm Kilpatrick, explained that the effects of climate change are expected to be seen at the edges of species' geographic ranges, as species adapted to warm climates move further north and cold-adapted species retreat from the southern parts of their ranges. So a tropical species like Aedes aegypti, which transmits Zika, dengue, and other human diseases, could expand its range northward in the United States as temperatures warm.In all three regions, both mosquito abundance and the number of species decreased dramatically during the period of DDT use, then steadily increased as the amount of DDT in the environment declined. In New York, the researchers found, patterns of DDT use and its concentration in the environment could explain most of the long-term trends in mosquito populations. In New Jersey and California, however, the analyses showed that urbanization was also an important factor. This issue is important because it clearly shows that our activities have a chain reaction that affects the climate which in turn affects the animals living in those enviornments. diseases such as the ones spocken of in this article may spread to places it shouldnt have naturally spread and other animals may become invassive species because of changes in the ecosystem. we need to controll our actions in order to prevent a more harmful animal to rise in population, i suppose we are luck because it was mosquitoes but this may not be the next case. A dramatic pattern in our planet's climate history involves paroxysms in Arctic temperatures. During the last ice age, tens of thousands of years ago, Greenland repeatedly warmed by about 10 degrees Celsius over just a few decades and then gradually cooled. Meanwhile the Southern Hemisphere climate stayed fairly stable, with only weak and long-delayed echoes of the temperature chaos up north. Ice core records from the two poles show that during the last ice age, sharp spikes in Arctic temperatures shifted the position of winds around Antarctica.Besides being important for Antarctic climate, the Southern Ocean winds influence rainfall in South America, Australia and southern Africa. These winds also play a role in long-term climate feedbacks that involve Antarctic sea ice and the uptake of atmospheric carbon dioxide by the oceans. The Antarctic ice core shows that Southern Ocean winds shifted at the same time, or at most within a few decades, of each rapid Greenland warming event. Antarctic air temperatures, on the other hand, are connected through the slower-moving oceans and took about two centuries to respond. This is important because we have to be constantly observing our environment and take notice of the past and how it affected our earth back when the events occurred. With data and research we can explain what is going on and how we may be able to fix or adapt to it before anything out of the ordinary happens. As long as we continue our research into new and constantly changing weather we should be able to find a solution to the problem. Like all animal and plant species both are part of complex ecological networks, in which interacting species are interlinked. The local extinction of animals and plants can lead to chain reaction of other extinction in a food web mostly due to climate change which affects most of the animals habitats.When plant species disappear due to climate change, this may lead to the subsequent loss of various animal species. Insects which depend on interactions with specific plant partners are particularly threatened. Plants, in contrast, will be less sensitive to the disappearance of their animal partners. After all plants appeared on land way before animals did. when studies were made a plant animal relationship often depended on the plant more than the animal so when the plant would die so did the animal but when the animal died the plant wouldn't be affected as much as the animal in the relationship. This is important because we not only have to protect endangered animals we must also need to protect the plants they may need to eat. The plants themselves are of course also important for the ecosystem and climate change is one great cause of the relationship disturbance. If we protect our animals and plants, along with making a better environment we have a chance to have a healthy environment. A recent study led by scientists at the Department of Energy's SLAC National Accelerator Laboratory helps describe how the contaminant cycles through the environment at former uranium mining sites and why it can be difficult to remove. Contrary to assumptions that have been used for modeling uranium behavior, researchers found the contaminant binds to organic matter in sediments.During this latest study, the researchers found the dominant form of uranium in the sediments, known as tetravalent uranium, binds to organic matter and clays in the sediments. This makes it more likely to persist at the sites. The result conflicted with current models used to predict movement and longevity of uranium in sediments, which assumed that it formed an insoluble mineral called uraninite. This is important because we need to regulate how we mine and also see what are the after effects so that we don't cause more harm to the environment in future mining projects. It helps when we clean after ourselves but being to cautions isn't a bad thing especially if it involves the environment around us. If we are to continue having fresh and healthy soil then we must regulate mining operations and be extra cautious that we don't leave or spill any contaminants that may stay in the soil for a very long time. The Global Space-based Inter-Calibration System (GSICS), an international consortium of 15 satellite agencies that collaborate on monitoring satellites and developing methods to ensure the quality of their weather data have been working with the World Meteorological Organization (WMO), a United Nations specialized agency and the Coordination Group for Meteorological Satellites (CGMS), to , enable the monitoring of weather satellites among member agencies and the correction of measurement anomalies in real time. With more improved satellites roaming around the earth our data will be scanned by multiple satellites and compared with other countries to confirm the data thus making it more reliable and up to date. This is important because the more we know and see about our weather the more prepared we can be when a natural event occurs. If one country finds out that an earth quake or tsunami is bound to hit it can confirm data with other countries and warn its neighbors in time. This technology will hopefully cause less deaths and it will improve our foretelling of future weather. How Oil is made: All oil began as plankton roughly 100 million years ago. As the plankton died they formed sediment layers mixed with mud. Pressure, heat, and time eventually turned the dead plankton into natural oil. It is then refined to make gasoline, lubricants, jet fuel, diesel fuel, and asphalt. It is one of the most common used resource throughout the world. Natural Gas: Natural gas can make electricity, heat home, and is a cheap energy resource with little show of declining supply. It produces less emissions than coal and oil ,but fracking has created issues dealing with water pollutants and methane leaks. It is now heavily used by growing countries around the world. Nuclear Energy: Provides 20% of the U.S. electricity and even more in other developing countries. The energy is very powerful and cheap to make but building nuclear plants is expensive and takes time. Nuclear energy does have environmental safety hazards but it is considered to be safer that coal, oil, and natural gas. Dealing with the product after the resource is used is also difficult and hazardous because the fuel still has a lot of radiation. Using onboard GPS and cellphone-grade sensors, each drifting balloon becomes part of a ``swarm'' of robotic vehicles, which can periodically report, via satellite uplink, their position, the local temperature, pressure, humidity and wind velocity. This new, comparatively low-cost sensing strategy promises to provide much-needed in situ sampling of environmental conditions for a longer range of time and from many vantage points within developing hurricanes. This has the potential to greatly improve efforts to estimate and forecast the intensity and track of future hurricanes in real time. This technology is a great step forward to help prevent natural disasters and huge loss of life. This is important because the more we study hurricanes and other natural phenomenon the more we can be able to prevent huge damage loss and learn more about how our planets' environment works and why it works in a certain way. This technology will hopefully further our research efforts and allow more innovations to be made in order to further understand how our winds react. By putting weights on a door researchers has seen that cows work really hard to push the gates during the night in order to graze while they work just as hard indoors to get fresh food. Research has shown that cows are motivated to go outside. If they are kept inside their needs are fulfilled but if they don't graze then they can't interact in their natural environment. If they graze more often, cows seem to be more healthier thus producing better milk. Knowing how to take care of our livestock will not only improve their productivity but also create a more natural and humane environments for them to live in. We must never forget that they are live organism that can see and feel just like we do. We must not only ensure that we have a clean environment but a healthy environment that can be shared between humans and animals. ​Billions of pounds of plastic waste are littering the world's oceans. Now, an organic chemist, Swaminathan Ramesh, and a sailboat captain, James E. Holm, report that they are developing a process to reuse certain plastics, transforming them from worthless trash into a valuable diesel fuel with a small mobile reactor that could operate on land or at sea. They sought to optimize a technology that can use waste hydrocarbon-based plastics as a feed-stock for valuable diesel fuel. Their goal was to rid the world of plastic waste by creating a market for it. using pyrolysis technologies, they can attach them to boats and on shores in order to turn floating plastic into valuable fuel. This technology is very important because we can clean out our oceans and at the same time create fuel for our traveling and trading boats. with the elimination of plastics in our oceans and beaches we can live in a better, cleaner society and eliminate pollutants that would other wise stay in the environment. Uribe-Romo and his team of students created a way to trigger a chemical reaction in a synthetic material called metal-organic frameworks (MOF) that breaks down carbon dioxide into harmless organic materials. This is photosynthesis process similar to the way plants convert carbon dioxide (CO2) and sunlight into food. But instead of producing food, Uribe-Romo's method produces solar fuel. With this new break through in technology we can now use artificial photosynthesis as a way to eliminate some green house gases and converting them into certain types of energy. We not only reduce harmful green house gases but on a larger scale we may be able to provide energy for communities. Breakthroughs like these will greatly improve our living standards and help keep our earth cleaner than before. By converting greenhouse gases into fuel we can slow down global warming and also maintain a constant global temperature. Perhaps in the future we can improve this technology on a greater scale and finally eliminate one of our long lasting problem that started in the industrial age. As of today the javan rhino's population is around 62 animals. A tsunami as high as 10 meters is predicted to hit the national park that the population is located in. in order to avoid this disaster people are trying to migrate the populations toward another location or increase the population size and move some of the rhinos to a different location.Doing so will require identifying and securing new sites, securing the agreement of numerous stakeholders, including local authorities and the public, and intensive monitoring in Ujung Kulon National Park to determine which individual Javan rhinos may be suitable for translocation. As the populations struggles to survive more programs will be set up later in 2017 to help them grow and stop illegal hunting of rhinos for their horns and other products. keeping animals alive is esential for the enviornment and the ecosystem. They serve their roles in their ecosysytem and without that keystone species the entire ecosystem can fall apart and harm other animals including us.